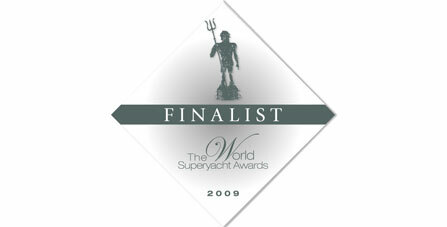 World Superyacht Awards 2009 - Diana Yacht Design B.V.
Two yachts,My Trust and Darsea, with naval architecture by Diana Yacht Design are nominated for theWorld Superyacht Awards 2009! Yachts in the category of best displacement motor yacht of below 500GT (approx 30m-49m). Two yachts,My Trust and Darsea, with naval architecture by Diana Yacht Design are nominated for the World Superyacht Awards 2009! Yachts in the category of best displacement motor yacht of below 500GT (approx 30m-49m).